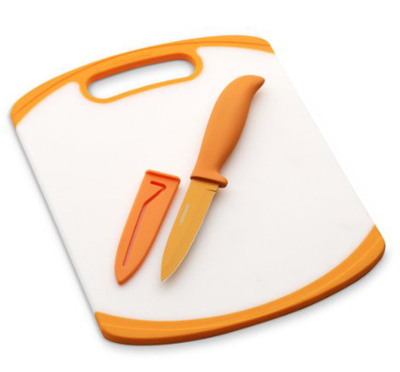 This Farberware Poly Board with Resin Parer will have you slicing and dicing like a pro! The polyurethane board is non-porous and non-absorbent and is reversible for twice the cutting surface. The knife features a resin-coated stainless steel blades that reduce the sticking of food to the knife. $17.20. Buy here.